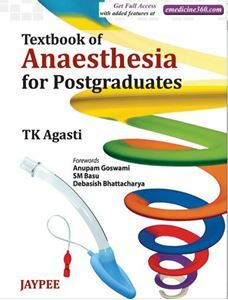 The 49 chapters cover every aspect of anesthesia and, broadly speaking, the book is divided into two parts, with the first half on basic science aspects and pharmacology and the second half on clinical topics. The first part covers the pharmacology of all anesthetics and related drugs, anesthesia equipment, the physiology of the cardiovascular system and respiratory system, water and electrolyte balance, and acid-base balance. The second part of the book has chapters on airway management, anesthesia monitors, and a discussion of regional anesthesia, both peripheral and central, before moving into anesthesia for different organ systems like cardiac anesthesia, obstetric anesthesia, pediatric anesthesia, ENT anesthesia, etc. Nothing is left out, as the book includes discussions of anesthesia for laparoscopic surgery, remote location anesthesia, and ambulatory anesthesia. Chapters have plenty of tables and "Fact File" boxes to highlight important points and plenty of pictures to supplement the text. The book is comprehensive in its breadth but at times lacks depth.There are no references for readers who wish to explore a topic more thoroughly. Even though the book focuses on postgraduate examinations, there are no questions and answers at the end of chapters for readers to test their knowledge or review salient points of a topic. Providing these features in a future edition as a supplement to the book either in print format or online would be a welcome step.